The cocktail for a perfect night out is blue. Stir in a renowned happy hour, nightly live music and UPshow screens displaying all the action and you’ve got yourself an evening at Blue Martini. With 11 locations nationwide creating customized shareable moments through the UPshow screens, Blue Martini has garnered mega influencers and a reputation for amazing celebrations. Let's see the "UPshow Effect" at Blue Martini- highlighting customer posts that aren't just pictures but invaluable customer promotions. We can’t resist the urge to stop and stare when in the presence of fame. But in today’s digital age, celebs aren’t the only ones getting spotted in the spotlight. 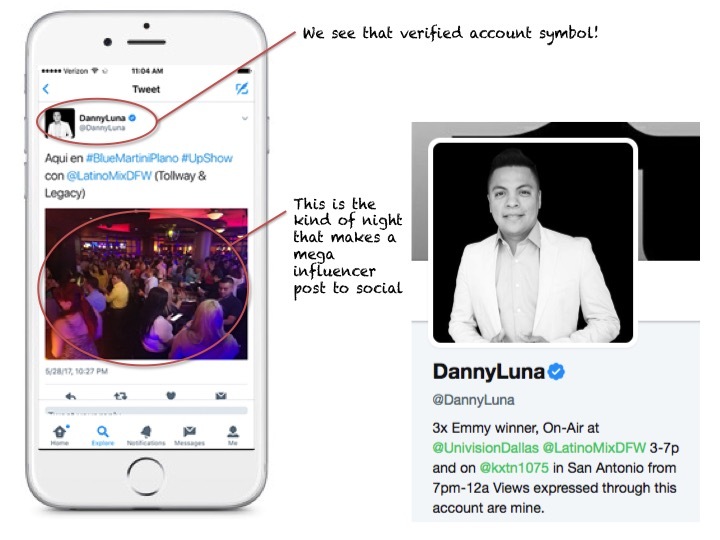 Social media influencers are sighted at the coolest, trendiest hot spots, like Blue Martini. Even better, they will most definitely be posting a promotional picture during the night. Blue Martini has its fair share of influencers who post their martini-sipping experience to the UPshow screens. 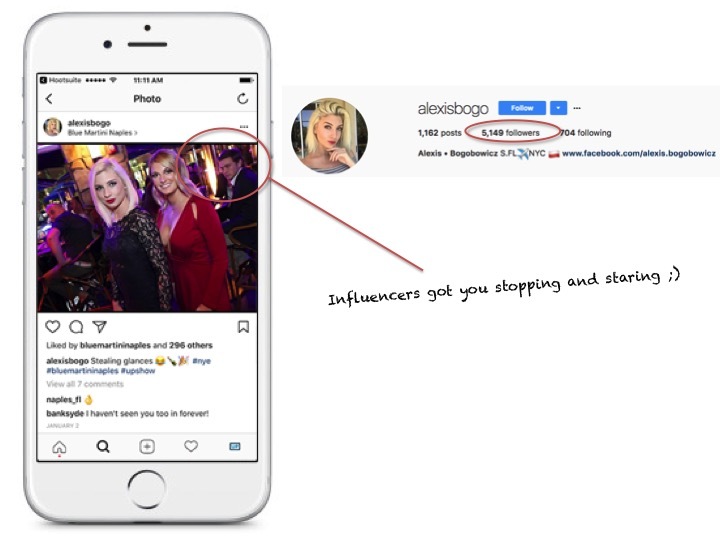 From verified accounts to promoters, these influencers are announcing on social that Blue Martini is worth checking out. 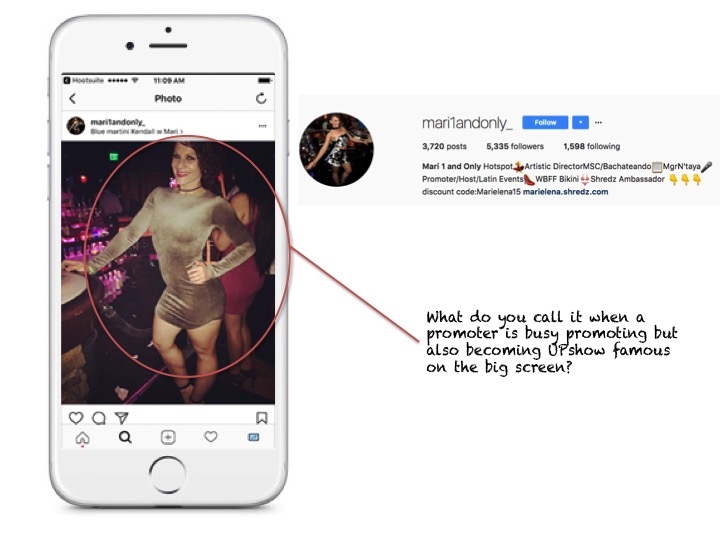 Click through the above photos to check out some superstar influencers who posted on the UPshow screens, promoting Blue Martini to their thousands of followers. Great customer content on social media boosts your business’s brand image and trust amongst social users. But your customers aren’t the only ones with a story to share. Employees are great promoters for your business. When customers see employees having fun, they feel more inclined to join in. Displaying team mentality on the UPshow screens in-venue creates a close-knitted culture between customer and employee. 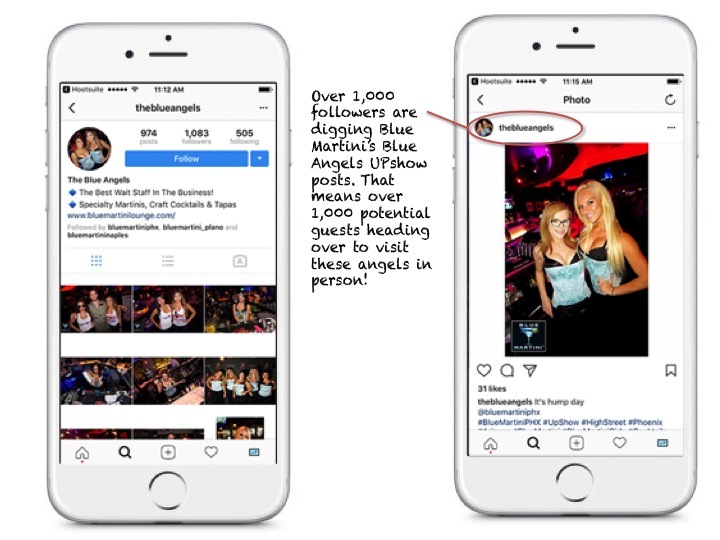 Even better, Blue Martini created its own Instagram account dedicated to The Blue Angels serving drinks at all locations. The Blue Angels post to the UPshow screens, which notifies their thousands of followers to head over for something blue! Whether you’re headed to a birthday party, bro's night out or bachelorette party, the night is always defined by where you decide to go. The venue you choose for a killer night out impacts how the rest of the evening will go. More importantly, when in celebration mode, you want to know the business cares about your party. While the atmosphere at Blue Martini is party-perfect, posting to the UPshow screen not only allows your party to be famous but also provides some special perks! Busy celebrating bride-to-be, @uncommonchick scored a discounted shot for her UPshow post! Click through these images to see some spectacular celebrations captured on the UPshow screens.